I have been a realtor in the greater Philadelphia area since 2009. My mission is simply to assist as many people with the home buying and selling process as possible. I look forward to helping people achieve their goals and dreams of home ownership. Home ownership allows you to own apart of this great country that is yours as long as you desire. It can also provide you with a solid financial investment that can become more valuable over time. My job as your agent is make that experience as worry free and enjoyable as possible. It is just as important as the transaction itself to have a high level of service. I provide that level of service for each and every one of my clients. 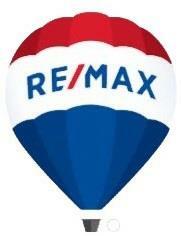 I also give the highest service to selling your home. I will give you quality representation as your agent to one-make sure your home sells, two-get you fair market value and three-take care of all the details so you can still do the other things you need to do with your life. Because of my experience and knowledge of the real estate industry I have acquired from Century 21 Advantage Gold and now RE/MAX, gives me an insight that alot agents just don't have. And you can always feel you are in good with me as quality service award winner. I specialize in foreclosures and investment properties also. Any where in the Philadelphia and surrounding county area, I will make your search a fulfilling experience so let's get started.